We took a quick trip to Charlotte, North Carolina this past weekend to see a concert at the Fillmore. After lunch we took a stroll through town and found this shot. 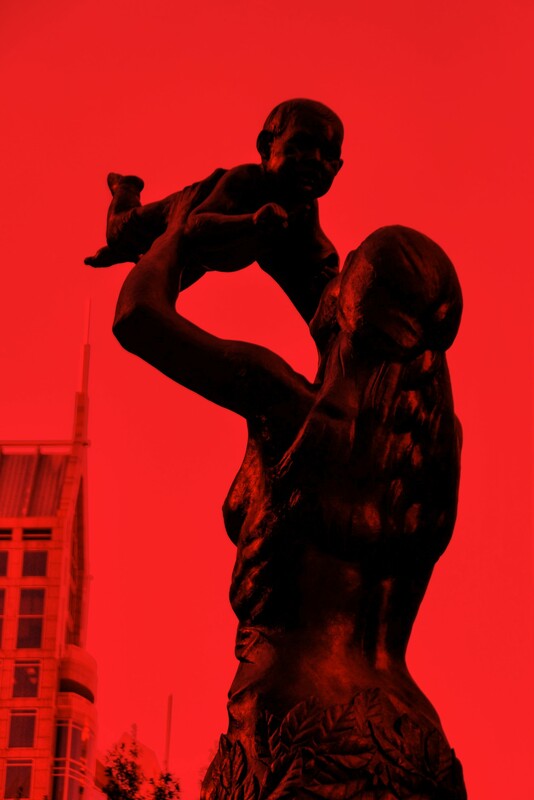 This is one of the four statues at the intersection of Trade and Tryon in Uptown Charlotte, and it represents “Future”.